Welcome to 104.7 Heart FM! On this page you will find a number of tools to help you make the best radio advertising decision for your business! Our suggestion would be to check out "Heart FM Advertising 101" and that will provide you with tools, data and some tips and tricks when it comes to radio advertising. If you would like to advertise on Heart FM, you can choose "Contact Sales" or you can select a "Marketing Specialist" to help guide you! SoundAdvise offers great tips directly to your inbox, our Coverage Area will give you an idea of who we cover and if you are a not-for-profit group, our Community Cruiser is for you! We hope to hear you on-air and see you online with 104.7 Heart FM soon! 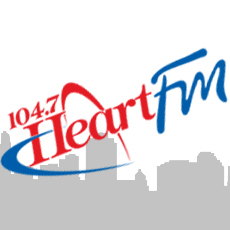 Why 104.7 Heart FM? Our Coverage Area? Why 1047.ca? Advertising Failure? Bang for Your Buck? Why Radio? Click Here! Got a question? Want a consultation? Drop us a line. They are here to help YOU and YOU'RE business! Find out what makes them tick! 20,000 watts of awesome broadcasting power.